1-click Taxi Button is a great solution to win the visitors from hotels, restaurants, bars and other public places in your city. 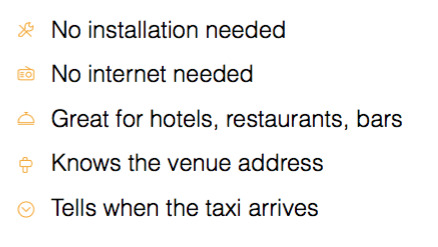 Doesn’t require installation – just plug the power supply and your taxi is one click away. Taxi Buttons are supplied with full warranty and data plan, all covered by the monthly subscription on each button.